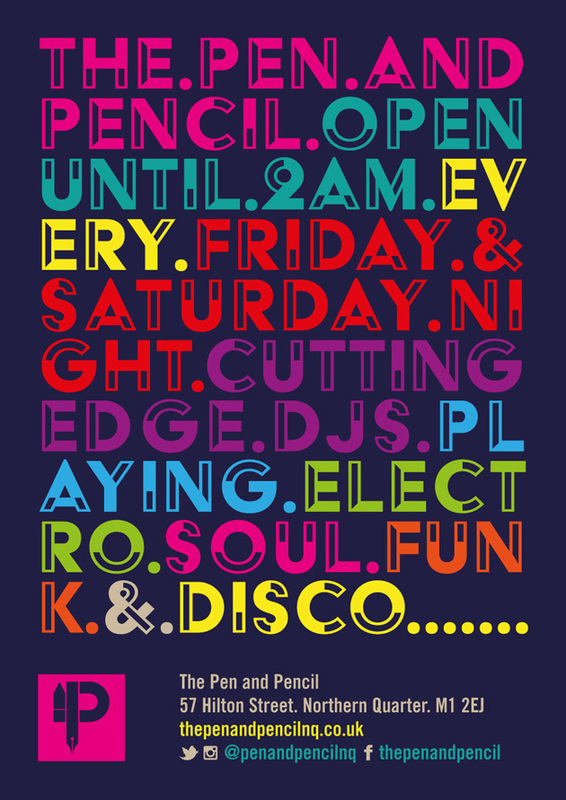 Half price food, free live music, late night DJs and a Valentine's gin and jazz night...The Pen and Pencil is here to get your 2018 rolling. 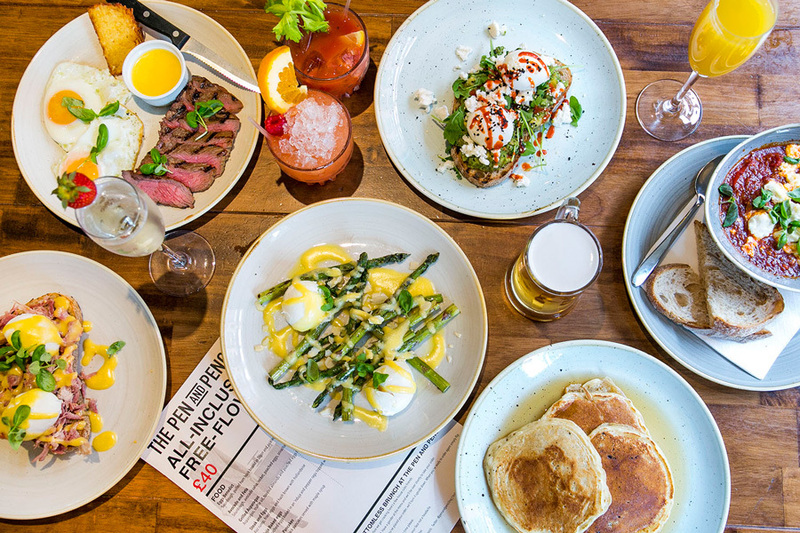 from 50% off food all day on Mondays when you pre-book to the All-inclusive Free-flow Bottomless Brunch, on the last Saturday of every month, 10am and 1pm. Half price, all of it, even the pork crackling. 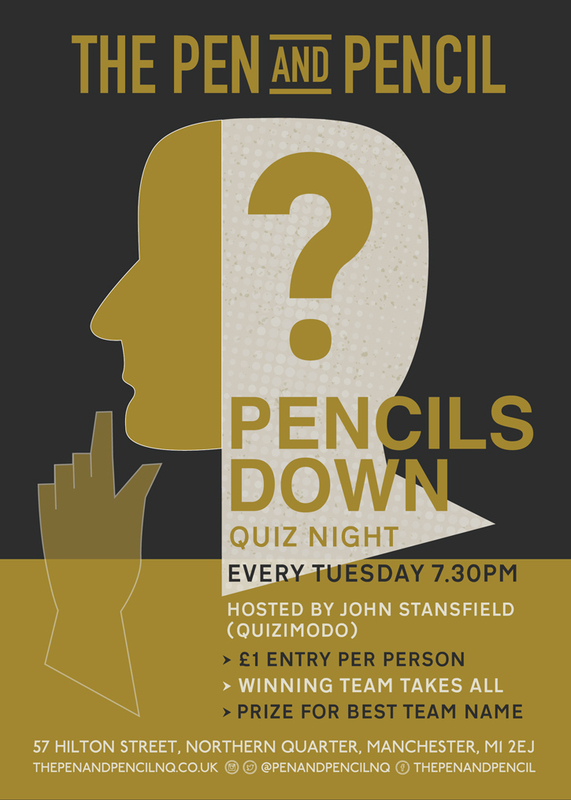 Hosted by Quizimodo's John Stansfield, this is four rounds of fast, funny questions including film and TV, general knowledge, music, and a 'wildcard' round. It's £1 entry. Winner takes all. And there's a round of beers for the best team name. 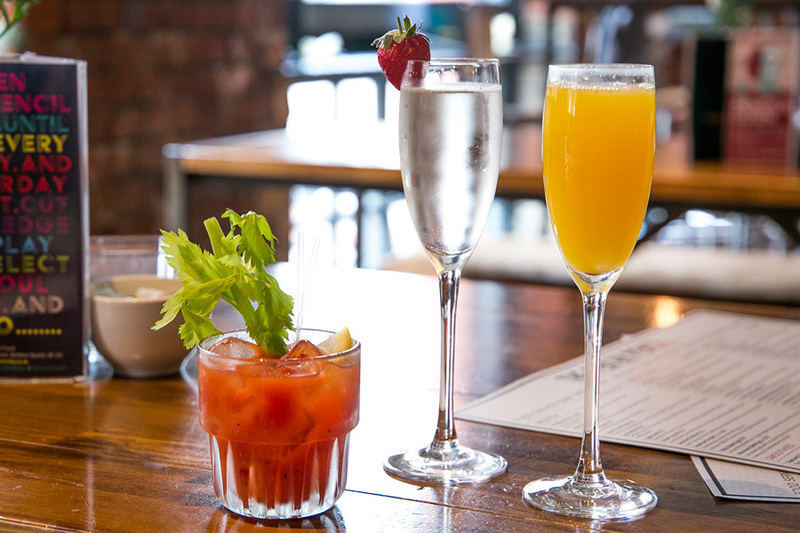 Get a table at our all-inclusive, free-flow brunch – held every last Saturday of the month. Choose from our special brunch menu, featuring classic dishes such as American-style pancakes with maple syrup, bacon and pecans. Have as many drinks and as much food as you like (one drink and dish per person at any one time). It's £40 per person. 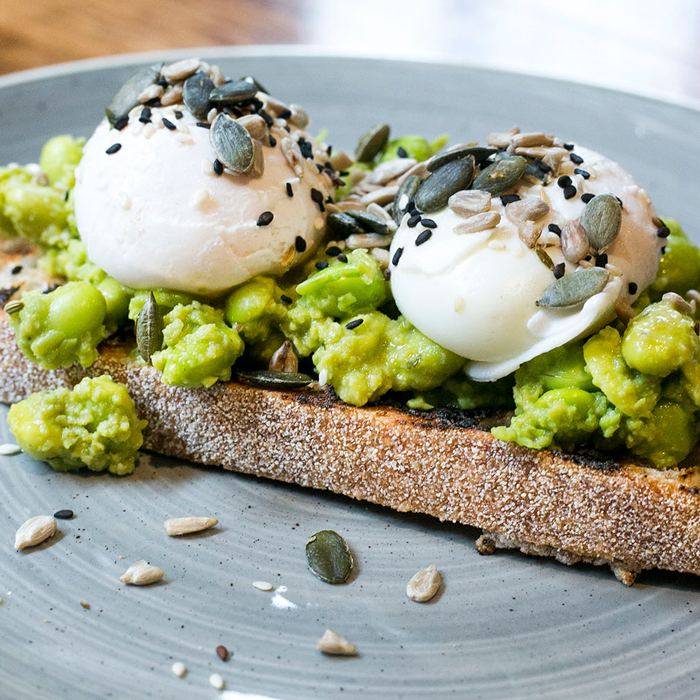 To reserve a table email us at: info@thepenandpencilnq.co.uk. 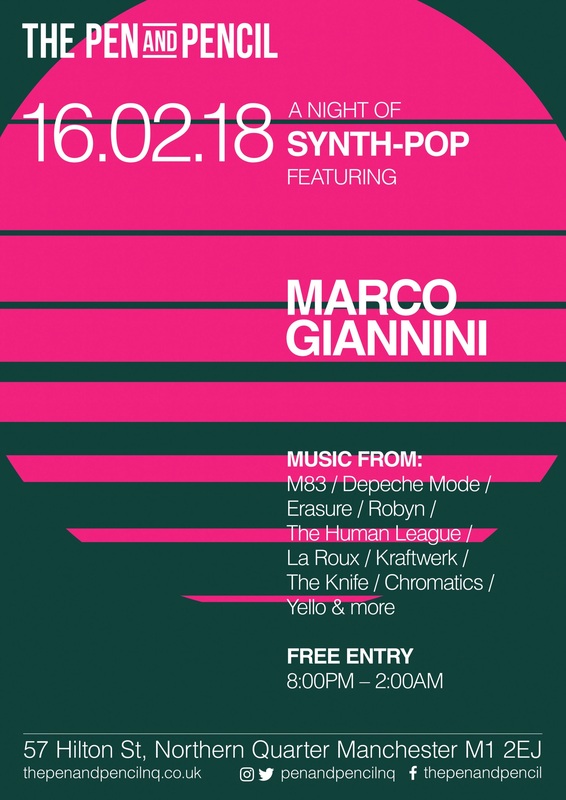 Get ready for a night of SYNTH-POP with Marco Giannini on Friday 16th Feb! M83/ Depeche Mode/ Erasure/ Robyn/ The Human League/ La Roux/ Kraftwerk/ The Knife/ Chromatics/ Yellow & more. 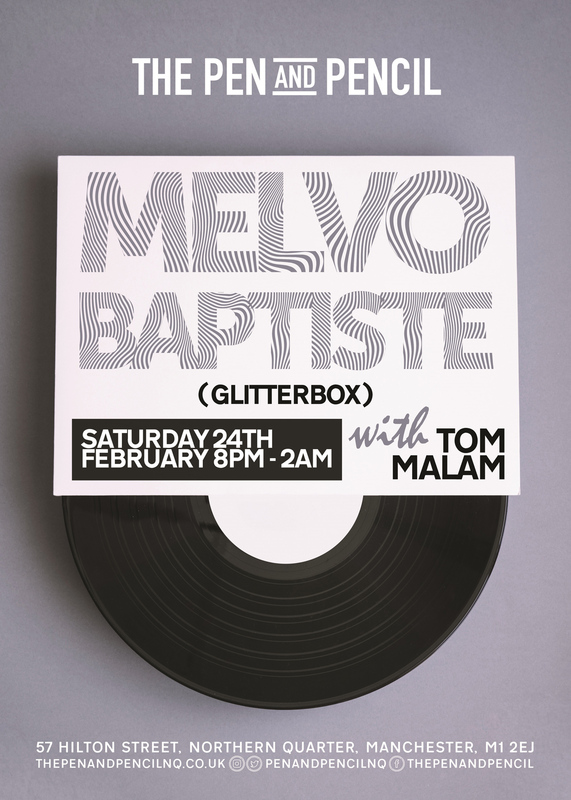 In 2017, Melvo was invited to present Glitterbox radio show which is now syndicated on over 40 stations globally and regularly frequents iTunes UK’s #1 sot for podcasts, becoming the ‘voice’ of Glitterbox. It’s going to be another epic night of Soul, Funk & Disco from across the decades and it’s completely FREE. First up is our favourite electric blues duo, Walklate and Fuschi. 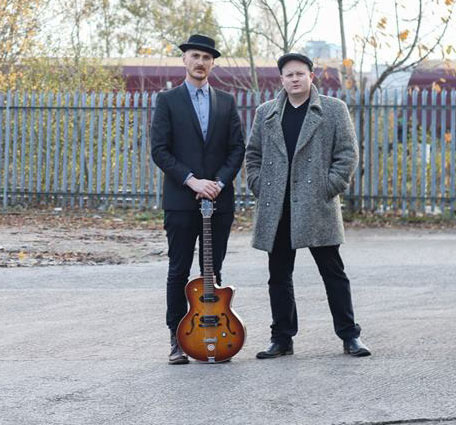 Featuring Mat Walklate on harmonica and vocals and Paolo Fuschi on guitar and vocals, they'll be knocking out classics from Bob Marley, Otis Redding, Sam Cooke, Johnny Cash and more. Free entry. And there's Four Roses bourbon deals all night. Thursday 1 March. Thursday 29 March. Thursday 3 May.